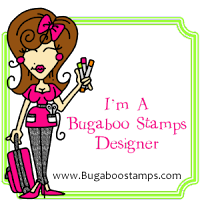 It's Tuesday, so time for the weekly challenge at Sweet Stamps . Our challenge theme for this week is Anything Goes! -Sweet Stamps carries two sizes- 12.5 gms (perfect to 'try it out') and 50 gm jars. -Inka Gold is an Opaque metallic paint that contains beeswax. -It is very shimmery and quick drying- the colors are brilliant. -Inka Gold is water soluble- so cleans up with water and is non-toxic. -Apply 'as is' using your fingers, use a sponge or dry cut for an intense color on your project. Or, try adding a little water to it and paint it on for a more subtle color. -You can combine the colors on a craft mat to make even more colors too! -Inka Gold works on all non-porous surfaces- so it is great on paper, chipboard, wood, ceramic, canvas....... You can add it to metal too. -When you open the jars- the top of the smaller paints have a removable (snap out) plastic top- you want to keep it in the jar when not in use so the paints do not dry out. The larger jars have a liner you peel off- then make sure when you close the jars they are tightly closed so the paints do not loose moisture. (You can refresh them if they dry out with water or baby oil from what I have read). 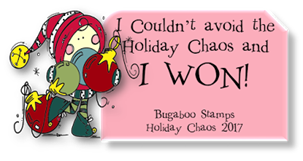 -You can stamp over the surface of Viva Decor- looks like you need to use Stazon Ink though. - I used my fingers and applied the Inka Gold for the background. After applying the ink, I buffed it with a paper towel- that makes it shine! After running the background through the Big Shot using the Swirls embossing folder, I highlighted the embossing with Gold colored Inka Gold. 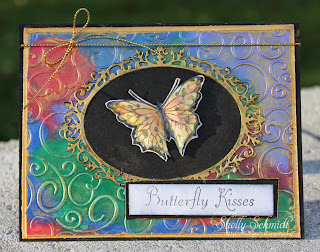 - For the butterfly, I first put a small dot of Inka Gold in Yellow on the craft sheet, then mixed it with water to make it liquid and painted it on. Next, I took a small amount of Inka Gold in Red and mixed it with the yellow (that I had already made) to make an orange color- as you can see in the picture. -I highlighted the outer edge of the back layer, the die frame and the edge of the sentiment panel with Gold Inka Gold paint using my finger. (It wiped right off my fingers with a baby wipe). - I stamped the sentiment and butterflies in Memento Black Tuxedo ink. 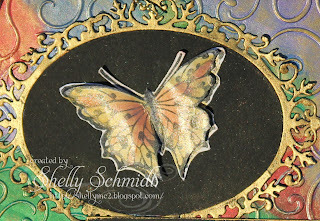 The butterfly is fussy cut- for the bottom layer, I left ~ 1/8" of white, the top layer is cut to the edge.On the top layer, I only glued down the center part of the butterfly. Here is a direct link to the Monthly Challenge as well- 11/15-12/14-Use Microbeads. You have a chance to WIN- winners drawn by Random.org. Oh Shelly this is amazing - now there is another 'need' on my dream list :-(. this is absolutely gorgeous. and i was thinking it only came in the GOLD. to see the colors is awesome. i love your background. absolutely love it. this is going into my favs!!! Shelly, this is beautiful! Love those new paints! Those colors are all working so nice together! Fantastic work as always! Take care of yourself. Love Inka Gold and your card looks amazing with them. Oh I do love the inca gold paints now am adding them to my long wish list. Love your card very elegant. Thanks for joining in the fun at Created with Love Challenges. Hearts a pounding! Wowzer all over this card! The gold framing and that dreamy butterfly on black is stunning! Love this! It is as though the card is glowing - so beautiful. Wow love the bright shimmering colors on the embossed background and how the butterfly pops with color against the black background. This is so gorgeous! I love inka gold and your color palette is fabulous! What a great bit of info on a product I hadn't seen before. Looks like Santa's list just got a little longer! Thanks so much for sharing with us this week at CWLC. We hope to see you back very soon! thx for the info Shelly! I just got some of the Inka colors a few weeks ago! Now to use them! Gorgeous card! Wow, look how many of us love this card. It is truly a masterpiece. I didn't know about Inka Gold so thank you for sharing all the information. I really need to work outside of my tiny little sandbox. Shelly this is beautiful! I love the back ground and the pretty butterfly! Shimmery and stunning! 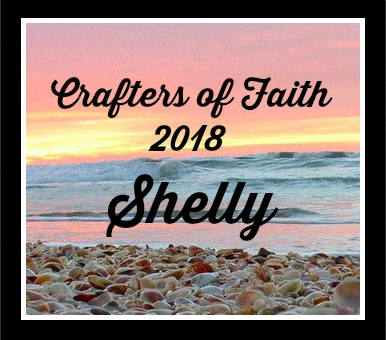 This is so wonderful, Shelly!! I truly love it. Thanks so much for the scoop on how you put this beauty together. I've never used Inka Gold but have heard its a lot of fun. AHMAZING!!!! As soon as I saw it I loved it! Thank you so much for all of the info on these I was contemplating getting some and now I know I will have to! LOVE it! So colorful, you did a great job with the background and I like the frame too; perfect to show off the butterfly. Beautiful Shelly! What an amazing colour palette and you really got us all going on the Ink Gold, lol! Such a beautiful card. Thanks for playing along with us at Cards in Envy. soooo pretty!!! great embossing!!! thanks sooo much for playing along with Cards In Envy!! !